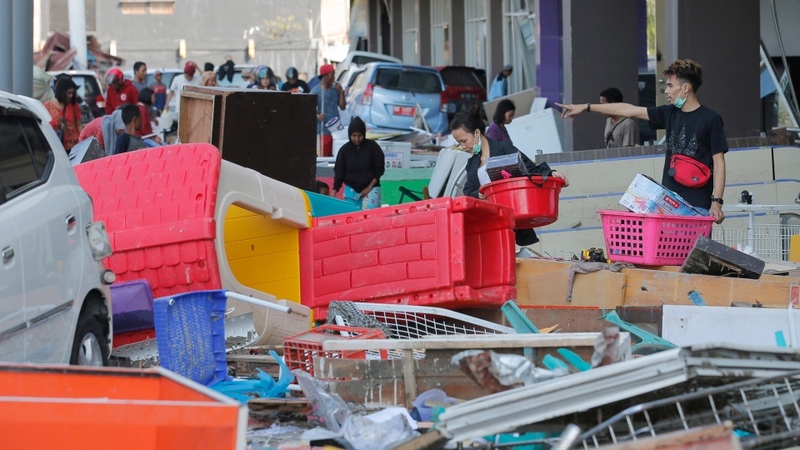 PALU, Indonesia -- The death toll from an earthquake and tsunami that decimated parts of the central Indonesian island of Sulawesi jumped to more than 1,200 on Tuesday as disaster officials began reaching coastal areas that were cut off by blocked roads and downed communications lines. 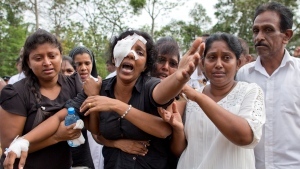 Along the coast, the tsunami, which reportedly reached as high as 6 metres (nearly 20 feet) in some places, shattered buildings, uprooted concrete and thrust houses and boats tens of meters inland. A special aircraft carrying 12,000 litres (3,170 gallons) of fuel had arrived and trucks with food were on the way with police escorts to guard against looters. 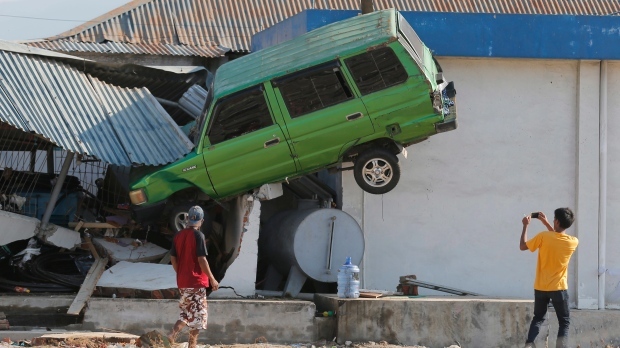 Nugroho said many gas stations were inoperable either because of quake damage or from people stealing fuel. The town's administrative head, Kasman Lassa, all but gave residents permission to take food -- but nothing else -- from shops. 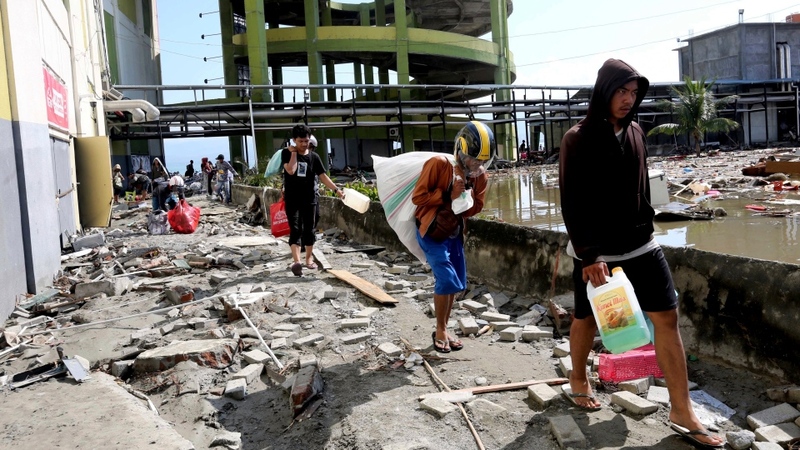 In Palu's Petobo neighbourhood, the quake caused loose, wet soil to liquefy, creating a thick, heavy quicksand-type material that resulted in massive damage. 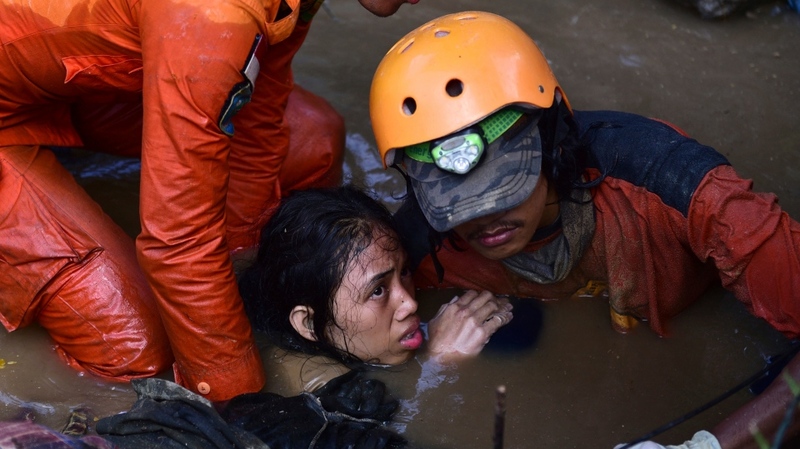 Hundreds of victims are still believed to be buried in the mud there. Nugroho said only two of the 122 foreigners in the area remained unaccounted for -- one from South Korea and the other from Belgium.